Features include an open concept floor plan, fully-equipped kitchen with an abundance of countertop space,Full-Sized Washer & Dryer in Each Apartment for Additional Fee, and a private balcony or patio. 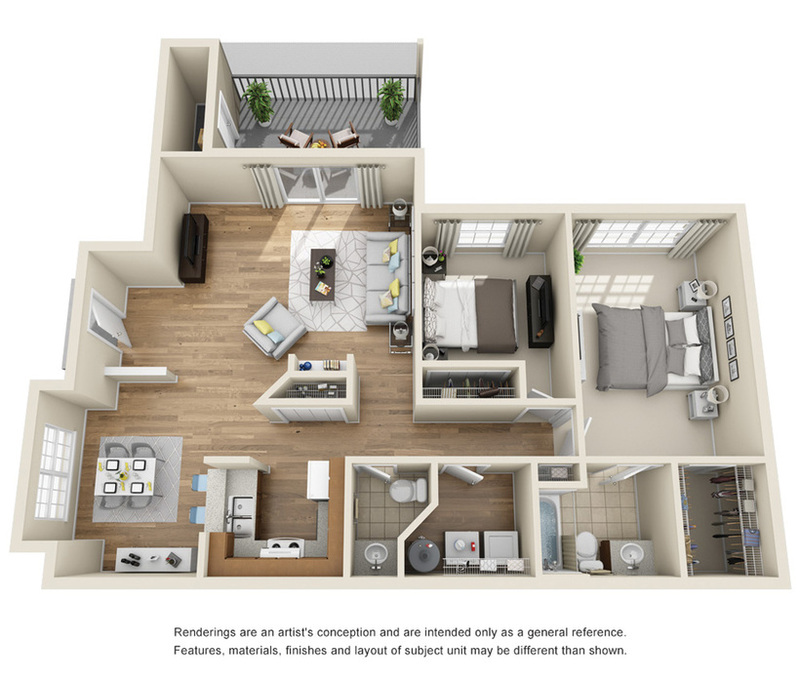 Features include an open concept floor plan with a separate living and dining room, a built-in bookshelf, fully-equipped kitchen, a spacious walk-in closet, Full-Sized Washer & Dryer in Each Apartment for Additional Fee, and a private balcony or patio with outside storage. 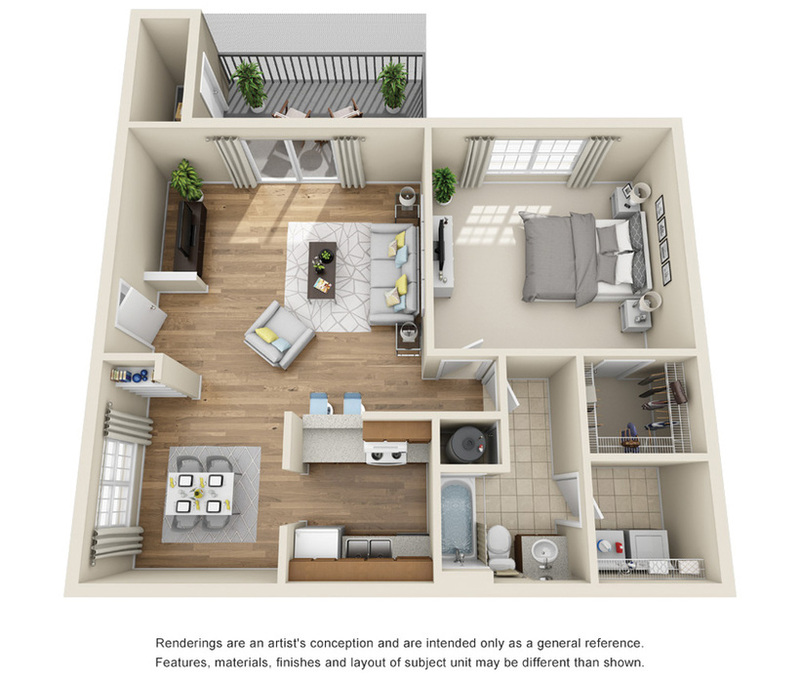 Features include an open concept floor plan with a separate living and dining room, fully-equipped kitchen with a pantry, built-in bookshelf, Full-Sized Washer & Dryer in Each Apartment for Additional Fee, and a private balcony or patio with outside storage. 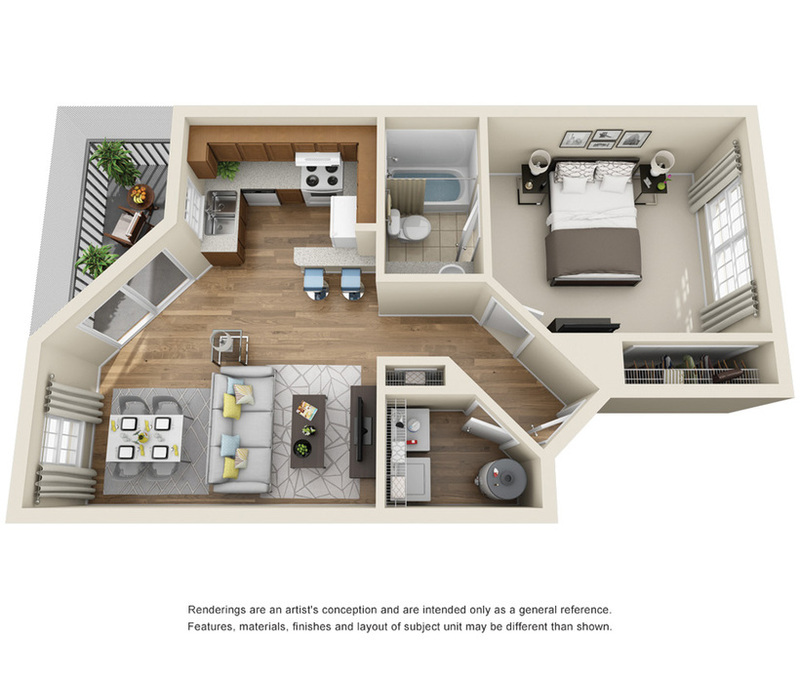 Features include an open concept floor plan, a built-in bookshelf, fully-equipped kitchen with a pantry, an entry closet, Full-Sized Washer & Dryer in Each Apartment for Additional Fee, two spacious walk-in closets and a private balcony or patio with outside storage. Features include a townhome floor plan with a wood burning fireplace, fully-equipped kitchen with pantry, a study or den area downstairs, Full-Sized Washer & Dryer in Each Apartment for Additional Fee, and a private patio with an abundance of outside storage. At Central Parkway we offer apartments for rent in Altamonte Springs, FL that combine the comforts of home with the conveniences of apartment living. 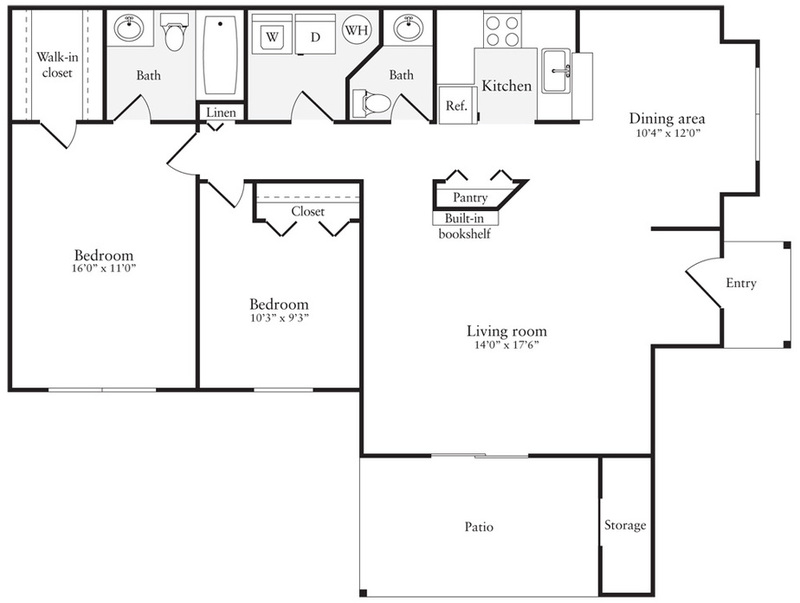 We have five unique floor plans to choose from, so you can find a home that will meet your individual needs. Whether you’re looking for a stylish one or two bedroom apartment home or a spacious two bedroom townhome, you’ll find exactly what you’re searching for at Central Parkway. Although amenities can vary for different floor plans, you can expect all of our stylish apartments and townhomes to feature utility rooms with washer and dryer connections, private patios, and central heating and air conditioning. The kitchens in our homes are fully-equipped, which makes preparing meals a breeze. Each home also has plenty of storage space, with most layouts offering extra patio storage and all but the most compact layout featuring large walk-in closets. 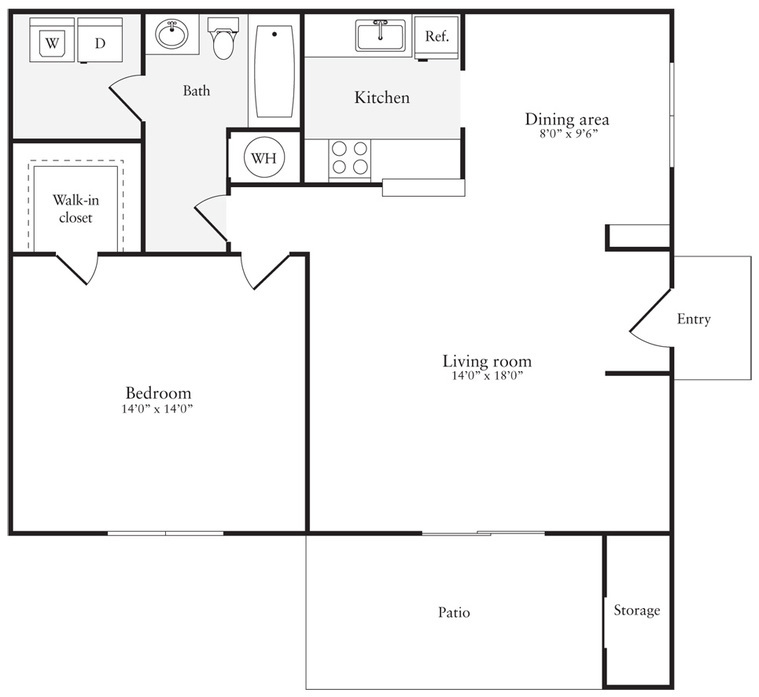 We offer two choices for a one bedroom apartment home, which are a 601-square-foot floor plan and an 874-square-foot floor plan. In the first layout, you’ll find a spacious living room, a large utility room, and a private deck to enjoy our picturesque wooded community. 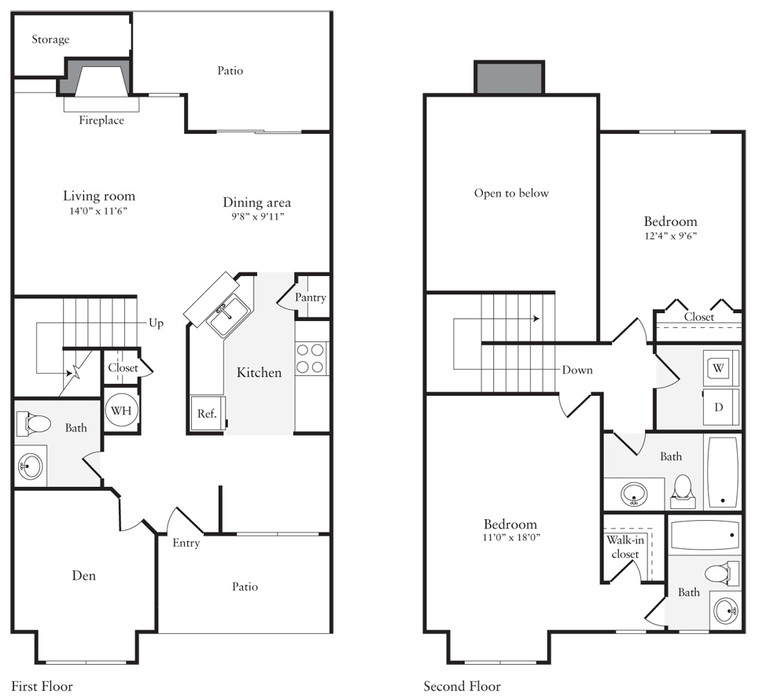 The second floor plan additionally features a separate dining room, a walk-in closet, and a more spacious bathroom. 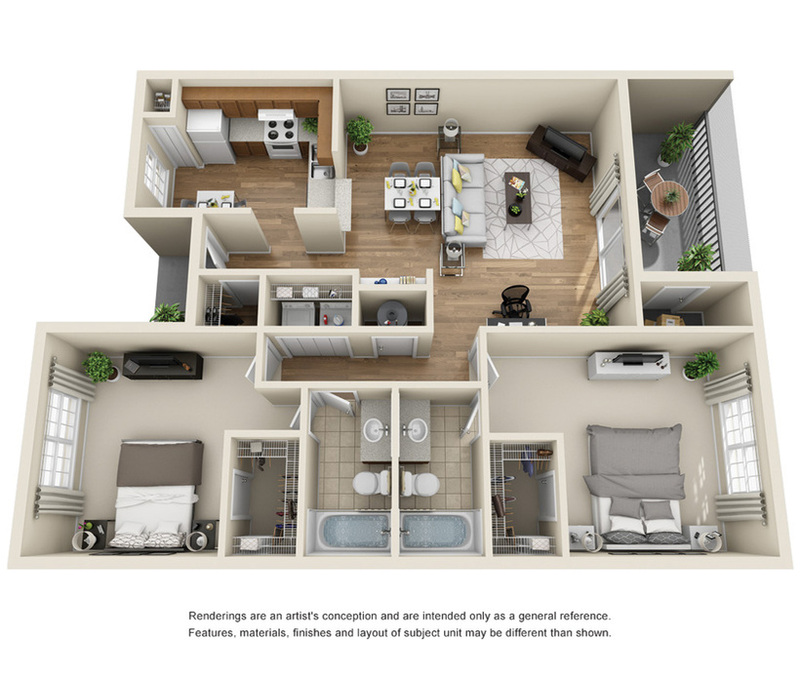 We have even more options for two bedroom apartment homes, which include two distinct layouts and one large townhome layout. 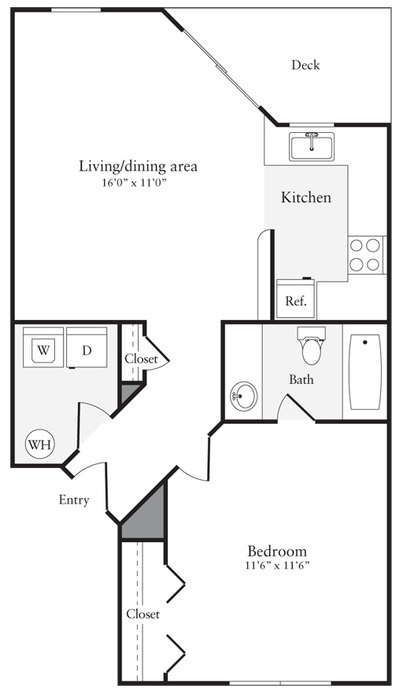 In our first two bedroom floor plan, you’ll enjoy a master bedroom with a walk-in closet and private bathroom. It also features a living room with built-in shelving that is perfect for displaying your prized possessions. 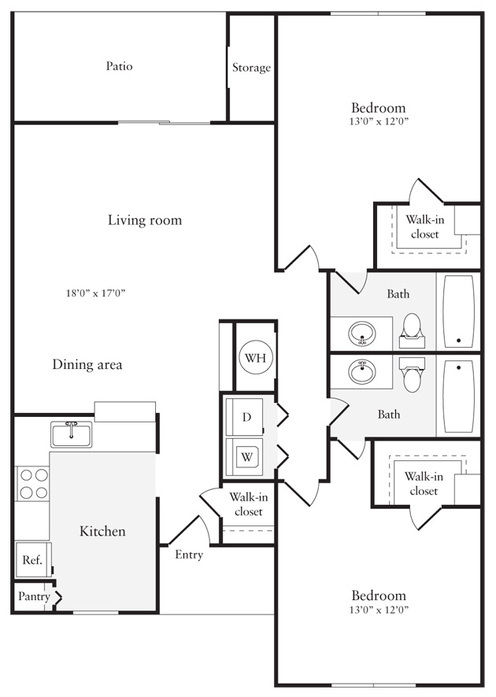 The other two bedroom apartment floor plan features more than 1,180 square feet of living space with two full bathrooms and a walk-in closet in each bedroom. 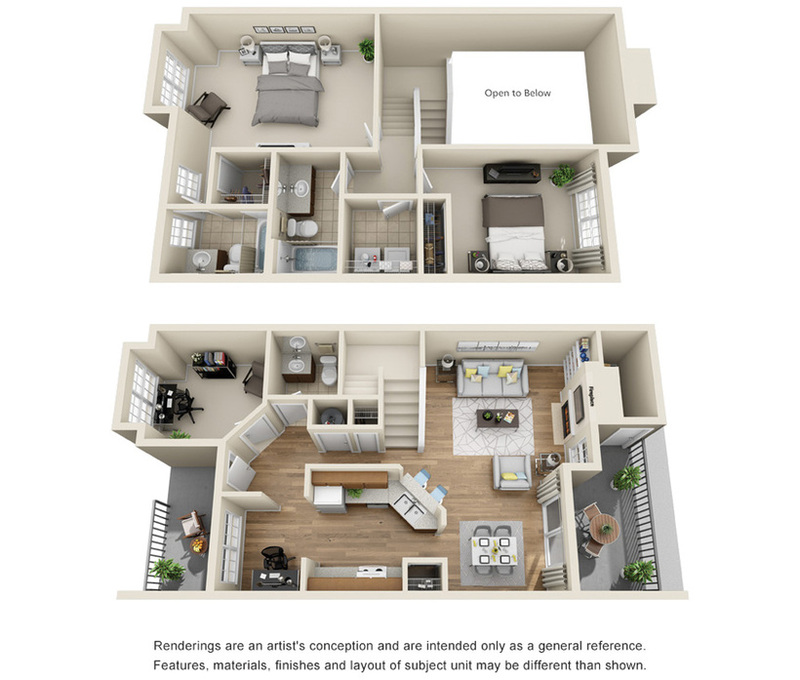 Our two story townhome is our most spacious floor plan with over 1,300 square feet, and it offers deluxe extras like a cozy den and a wood-burning fireplace. With so many options, it’s easy to find a place you can call home at Central Parkway. Come home to a true gem at our Altamonte Springs, FL apartments.